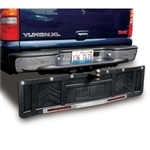 What does the 00070 angle bar look like we are interested in the Ultra Guard truck tow guard? The manufacturer does not have a photo of the angle bar. Below is a link to the Manual for the the Truck Ultra Guard, this shows what the steel angle looks like.